Russia's top 10 places with the best business climates include the Tambov, Kostroma, Ulyanovsk and Tula regions, Russian presidential administration chief Sergei Ivanov has said. "The start of such work has already allowed us to assess the business climate in different regions. Certainly, it is neither a secret nor a surprise that it varies drastically. Today we have already determined the top ten regional leaders," Ivanov said at the St. Petersburg International Economic Forum. Business people themselves have said that these regions have the most comfortable business climates and the local authorities support the development of different forms of entrepreneurship, he noted. "They primarily include the Kaluga region, the Belgorod region and Tatarstan. In my opinion, it is not surprising because they were named in all groups of leaders previously. But new regions have emerged as well. 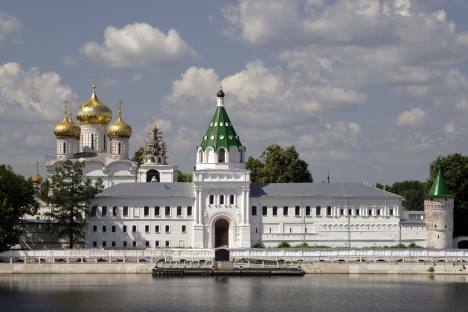 The Tambov region was never 'the talk of the town' previously, but today it is one of the leaders. The same concerns the Ulyanovsk region and the Kostroma region," the Kremlin official said. For example, the Kostroma region was described as a 'basket case' not so long ago, and "it seemed to be living back in the 1950s," Ivanov said. "But the region made an economic ascent after new people came to power there," he said. Russia's list of the best places to do business also includes the Krasnodar territory, the Rostov region, the Republic of Chuvashia and the Tula region. "This region is not simple either, but industrial production has been growing there recently, and its business climate has noticeably improved," Ivanov said. Hopefully, further similar ratings will see changes, he said. "Some regions will quit the top ten, others will join it. Today I am not naming any regions that lag behind. I will give them a chance to improve," he added.